Launched in the Fall of 2007, the dual degree program confers a Master of Science (M.S.) degree from the School for Environment & Sustainability (SEAS) and a Master of Science in Engineering (M.S.E.) from the College of Engineering (CoE). Students in the ESS Program specialize in Sustainable Energy Systems, Sustainable Design & Manufacturing Systems, or Sustainable Water Systems. In 1950, the University of Michigan established the School of Natural Resources, the first of its kind in the world, but the study of natural resources and environmental sustainability has been part of the University for more than 100 years. Fittingly, the school changed its name to the School for Environment and Sustainability in 2017. 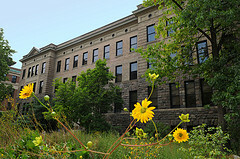 The school remains an international leader in educating students to be innovative and effective stewards of the environment. 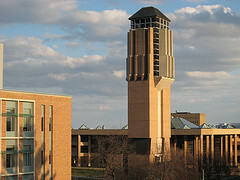 The school’s facilities include terrestrial, aquatic and analytical laboratories; a microcomputer laboratory; a remote-sensing laboratory; a computer graphics laboratory for landscape architecture; and a geographic information systems laboratory. In addition, Nichols Arboretum, Stinchfield Woods and Saginaw Forest, and the University’s Biological Field Station and Matthaei Botanical Gardens are available to the school for research and field work. The College of Engineering is consistently ranked among the top engineering schools in the world. Approximately 1,000 bachelor’s degrees and more than 1,100 master’s and doctoral degrees are awarded annually. Students select from more than 1,000 engineering courses in 11 academic departments. The College of Engineering’s annual budget of more than $130 million is one of the largest engineering research budgets of any public university. The college strives to offer an unparalleled range of opportunities that educate students to lead, to have impact and to make contributions to their professions, industry, government, academia and society.